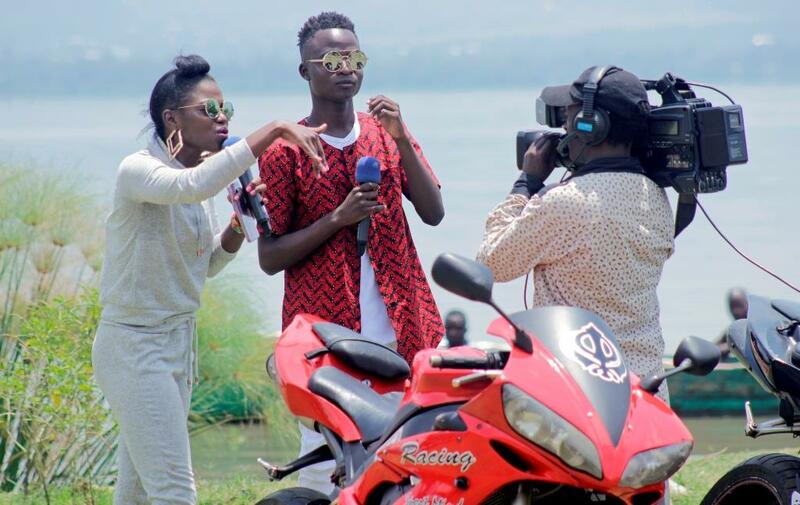 Over the weekend, a number of events filled with entertainment and glamour went down in the lakeside and western parts of Kenya and specifically Kisumu city that saw at least 3 events take place in one weekend. However much the other events which include SafaricomTwaweza live and Blaze BYOB Summit had more hype and buzz but this one event took almost all the credits after one rapper made everyone in attendance remember him. Gabiro Mtu Necessary, also known as Kisumu president made a presidential entry to #Str8upLive TV show that was being broadcasted on KTN television live and direct from the lakeside city of Kisumu. The 21 year old most sought after award winning rapper made an appearance on live TV screens in awe of the audience on ground cheering and jeering. Str8up live is always hosted by the beautiful Miss Cheroo and Dj Lee who had a standing ovation from the audience in attendance for bringing such a massive live show to the lakeside town not only that but it was also an honor to homegrown artists like Gabiro to be given a chance of a lifetime to speak about their music on a national mainstream television. “I come from a neighborhood where crime, drugs and substance abuse is the norm of the day and no one is ready to change all these negative vibes to something fresh and clean in the favor of the youth as would have been praised and glorified by God. I did not come here to show how poor or rich I am because it will mean nothing to a struggling youth.” commented Gabiro when asked why he had to appear on TV with a fleet of motorbikes. Mtu Necessary has established himself as one of the true “positive leaders and motivational musicians” of Kenya. His incredible upbeat attitude and positive energy combine to make him one of the most sought after performers in the business today. Gabiro is steadily building a reputation for Kisumu’s best lyricist, and but also shares his personal struggles through his art. From working as a matatu tout to battling drug abuse, Gabiro’s ability to tell stories separates him from rap music ‘status quo’. While many rappers tell us their story, Gabiro possesses the ability to bring you into his world and show it you. Perhaps his most notable song, “Story”, is a story of stories that happen in real life but they are often ignored. In dramatic fashion, this song discusses bullying, police shootings, drug abuse and political injustice. There are few artists that connect with such issues through their music. He currently riding on the success of his latest hit that featured Wyre and Nigeria’s Ketchup of Pam Pam fame with his latest release being Chini Ya Maji.